Declare your love with these carefully interlinked drop earrings, studded with diamonds and crafted in silver as a unique token of your love. 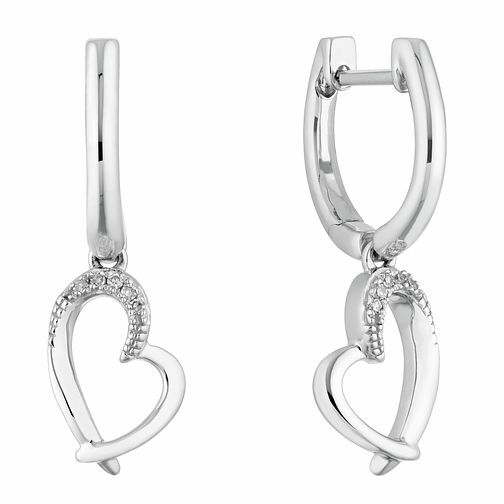 Sterling Silver Diamond Interlinked Heart Drop Earrings is rated 2.0 out of 5 by 1. Rated 2 out of 5 by Anonymous from Disappointing I was very disappointed with these earings. They were so small and didn't look a great deal like the advertised photo. I was embarrassed to give them as a gift.